How much time do you spend every day hunting for something that's not where you thought you put it, looking at the same paperwork as yesterday, or jumping from one project to another without finishing any of them? This is pure wasted time, and you have better things to do with it. These tips aren't about getting organized in the first place — setting up tools and systems. You probably have some already, or at least some idea of what you need. It's about actually using your organizers so that they simplify your life as they're supposed to, not just add more clutter. 1. Organize as you go. Take a tip from professional chefs who constantly clean their workstation so that they can maintain maximum speed and efficiency. The instant you're finished using your comb or that client file, put it back in its rightful home. At the end of the day, you'll be free to enjoy your life with no big, messy pile demanding your time and attention. You'll never get anything done if you're interrupted by email every 5 or 10 minutes, or try to finish three projects at once. Designate specific "appointments" on your daily or weekly calendar for answering email, paying bills, filing paperwork, working on a specific project, etc. Don't let these activities invade other time slots, and don't let distractions invade these activities. What really needs to get done today, and what can wait until tomorrow or next week? Put 3, and only 3, things at the top of your to-do list every morning. If you find you have time for more, great. If not, no guilt. 4. Consolidate your schedule organizers. What happens when you have task reminders scattered through your phone app, desk calendar, handwritten lists and computer software? You waste time looking in all these places, or forget to look there at all. Put everything in one system and you'll be able to plan your day, spot scheduling conflicts and identify priorities at a glance. 5. Have regular weed-out sessions. Depending on how fast you fill up your organizers, you may need a session every month, or only once or twice a year. Stuff you no longer use just gets your way and weighs on your mind. We're talking about everything from clothes you don't wear anymore to old project files to magazine articles you were going to read "someday." Anything you want to keep for sentimental reasons should go in the keepsake box, not stay cluttering up your current closet, filing cabinet — and life. 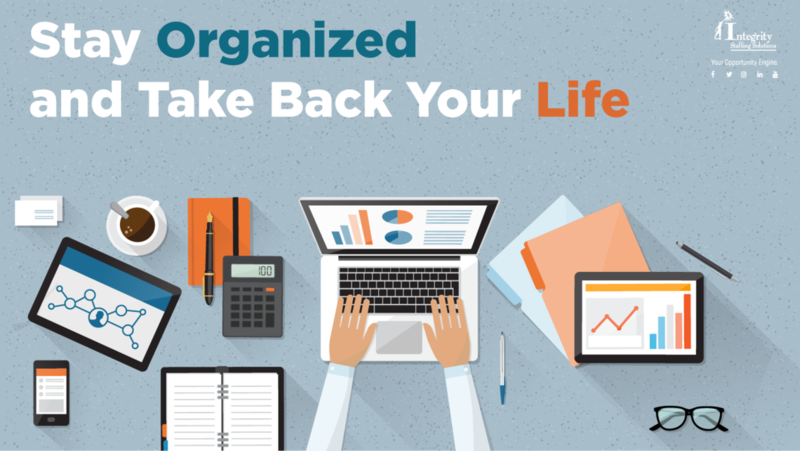 Once you get in the habit of really using your organizers, you'll find yourself more in control, with more time to do the important things. Enjoy!